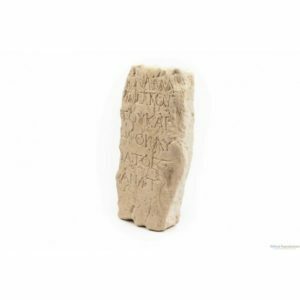 Pontius Pilate inscription is needed by the Jewish leaders to condemn Jesus to death. 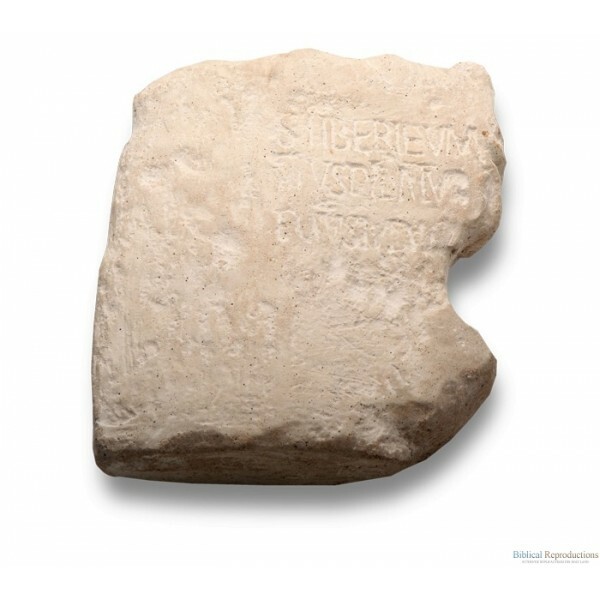 Among scholars, Pontius Pilate inscription became the subject of sensation. 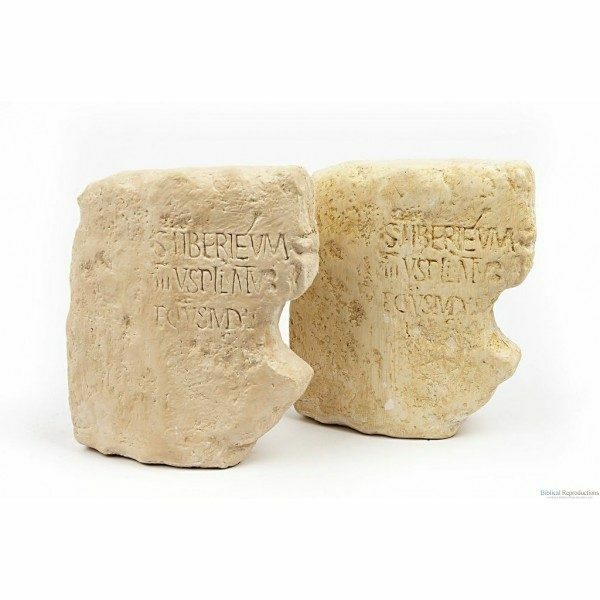 The Pontius Pilate Inscription was discovered in secondary use on the western steps of the Roman theatre at Caesarea in June of 1961. 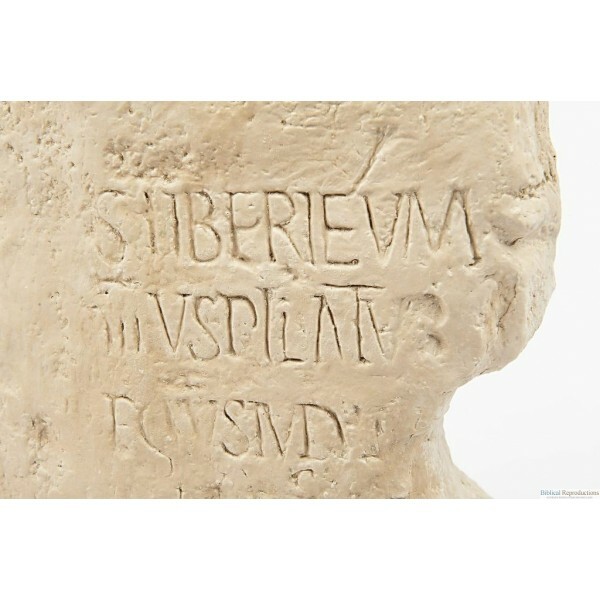 The inscription reflects the erecting of a monumental building by Pontius Pilate, most likely a temple, in which the Emperor Tiberius was worshipped. 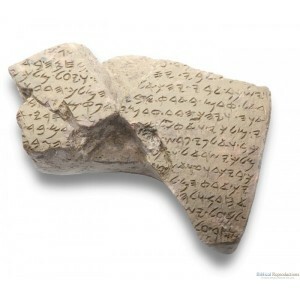 The discovery of this inscription provides a monumental backdrop for New Testament authenticity. Before the object’s discovery, some scholars doubted whether Pontius Pilate was a figurative character, contrived by the New Testament authors, and whether Josephus’ many stories concerning him were corrupted by later editors. The inscription further substantiates that Pontius Pilate indeed was a ‘prefect’ and not a ‘procurator’ as some of the early translators had deemed. Materials: Clay, produced in the Holy Land. Includes: Detailed artifact description & serial number. Note: This item is free-standing. The dimensions of the original limestone stele are: H. 80cm, L. 68cm, W. 20cm.